Guia de Vins de Catalunya 2017: 9,59 points. 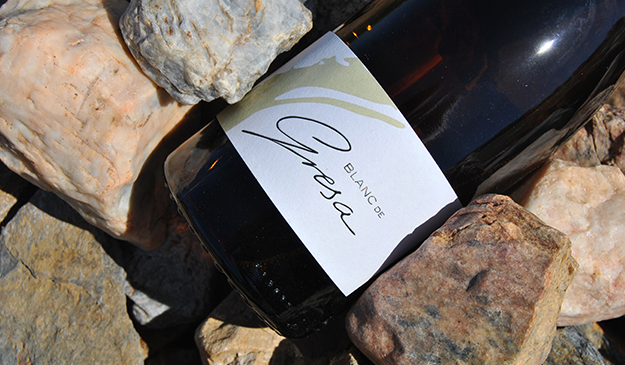 Grape varieties: White Grenache 46%, gray Grenache 30% and white Carignan 24%. All three grape varieties come from two old bush vines plots -90 and 110 years old- grown on a gravelly/sandy soil. The plots are located in the most flat in the center of the region slightly titled towards the southeast. White Grenache and gray Grenache are fermented and aged for 8 months in 500 liter French oak barrels, 50% new, together with their lees. White Carignan is vinified in stainless steal at controlled low temperature remaining on its lees until blend. Our aim is to achieve the best expression of each grape. Complex bouquet of citric aromas, peach fruit, dried herbs and white flower notes. In its evolution hints of toasted notes and mineral limestone. On the palate has a silky and creamy entrance, with a volume that grows on its way, ending with a long and fresh finish.